With the launch of our new listing builder, we’ve made a few changes to how our platform operates, and made a few changes to domain classified listings. Domain classified listings now have the ability to purchase listing upgrades, have increased search visibility, and the ability to add descriptions. For the full list of changes, you can read the blog post here. 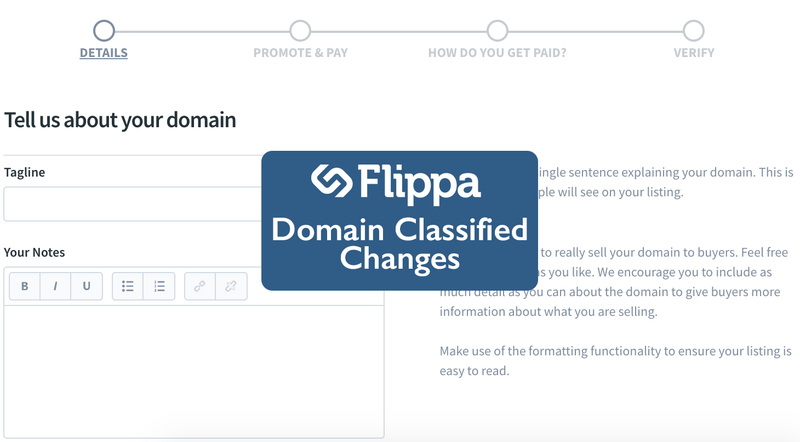 With these changes, we decided to implement a $1 domain classified listing fee, which will take place starting today. 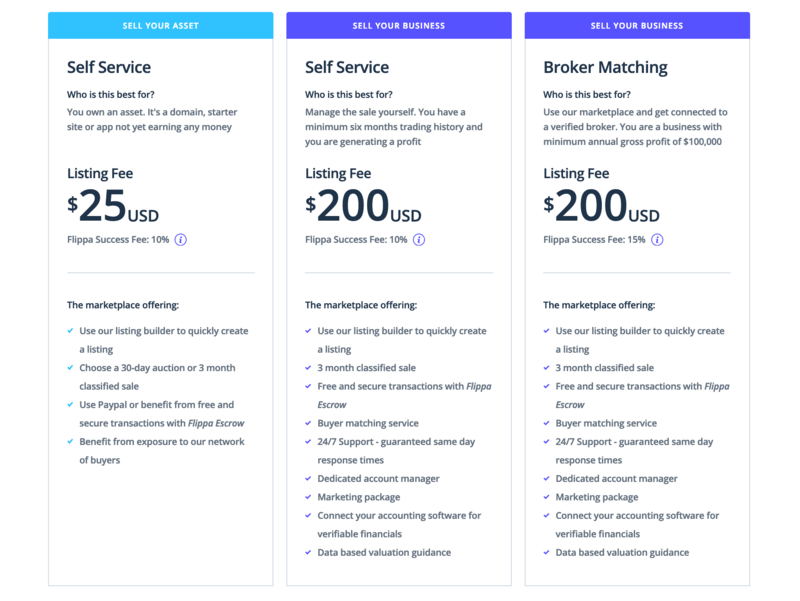 Prior to this, domains classified listings were free, but with the new changes to classified listings, we believe it’s in the best interest of our users (both buyers and sellers) to add this $1 fee. This fee will help improve trust in the marketplace and will make sure more quality listings appear in front of buyers. These changes will not effect domain portfolios, which will remain free. Although their asking price was way above the top 4N .com sale ever recorded on Namebio.com, I still believed in the possibility of this domain landing in the treasure chest of another investor. After witnessing a tsunami of unprecedented CHIP (Chinese premium domain) sales in 2015, the industry saw a steep drop-off towards Q2-2016 that left a lot of people holding the proverbial bag. Nonetheless, I was confident that this particular domain would be an attractive commodity to those particular investors who were continuing to make waves. The validation of chip sales previously recorded in the most recent quarters, compounded with the inherent traits of 0123.com, cemented my conviction of a high caliber sale taking place. Brandability/Easy-to-Remember: It’s a short 4 Number .com that consists of a sequential pattern, one that every child in preschool can remember…0-1-2-3. 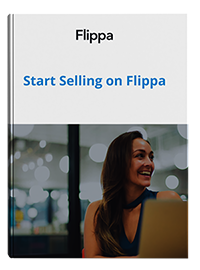 While marketing the domain through subsequent Flippa listings expanded its reach, no buyers stepped forward. But I remained patient, knowing that the right buyer was out there. The turning point arrived in early August, when I received one of those cryptic Skype invites. As was the case so often, this could suggest a few different scenarios: it could be someone wanting to offer pennies on the dollar; it could be someone asking for help in developing their website, a request I receive frequently; it could be a spam-bot asking for a date. I was reluctant to add their request, but for some reason my gut told me to take a swing. It paid off. On the other side of the world sat premium broker Sharjil Saleem, Director of Business Development for AEServer.com. He was the acting broker for a serious domain investor stationed in China. After a month and a half of emails, Skype messages and phone calls, we were both able to agree to terms to chart the highest 4N .com sale ever recorded, as well as the highest domain sale in Flippa Domains history. I’m certain that this 4N .com sale won’t remain at the top of the charts for very long. Yes, there are a limited amount of 4Ns available on the block, however, with a ton of buyers looming, a new trend of sales will propagate and prices will steadily increase. The 0123.com deal would have not been secured without patience, persistence and the effective communication of the Buyer’s Broker, Sharjil Saleem. As a result, both parties are extremely happy with the transaction. Sharjil and I continue to receive a steady influx of buy requests for NL / LN / NN / NNN / NNNN .com domains — even more since the publication of this sale. My forecast remains positive for these types of domain sales and we look to rapidly fulfill these requests by year’s end. As long as pricing expectations remain realistic, we believe that premium investors will snap these domains up as if they came out of a shattered piñata. I’ve provided a list of recently published Buy Requests in the comments below. Please don’t be shy — if you have a NL / LN / NN / 3N / 4N .com you’re seeking to sell, please share with me immediately. With the right exposure on Flippa, it’s definitely worth a shot! Who know’s — maybe your domain can be the next 0123.com! John Rampton is a self confessed serial entrepreneur, connector, writer and angel investor. We recently sat down with John to chat about his successful launch, and how the business is performing so far. John told us that he can “only write enough code to be dangerous,” so rather than building the software (and site) from the ground up, he acquired an invoicing company with the objective of using it as the foundation for Due.com. The opportunity John saw was simple: continue building and supporting a great product offering, but grow it exponentially with the help of his marketing chops. From that point forward it was simply a matter of moving the existing business across to the Due.com domain and rebranding it with the new Due logo and color palette. Because the invoicing business already had an existing database of over 40,000 clients, Due.com launched and became – virtually overnight – a revenue-generating business. And John was only just getting started. 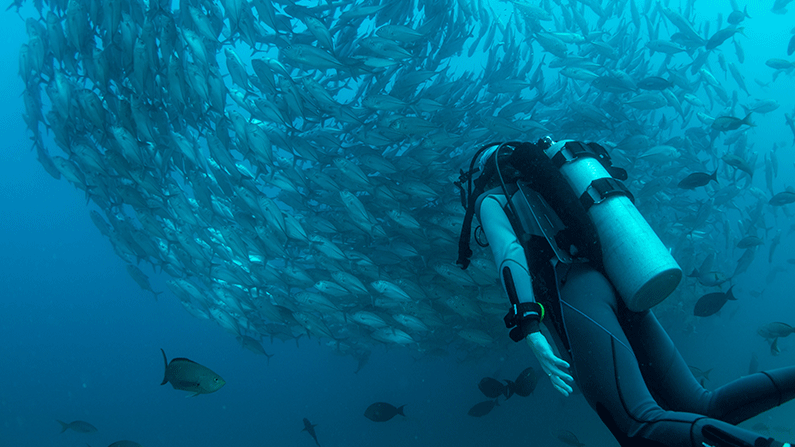 The marketing strategy for Due.com is, at its core, content-based. The business publishes daily content on its blog and outside sources, featuring business-savvy tips [Four Ways to Build A Business That Supports Your Life] and even inspirational quotes. John also pens work for his personal blog and large publications such as Inc., Forbes, Entrepreneur and Time. He speaks his mind on entrepreneurship and marketing, and shares more personal reflections of particular successes and failures. “I bring into my writing my experiences and what I do, and those who come across these posts naturally end up at Due,” John explains. In addition to their robust content arm, John and his team are constantly developing strategic partnerships to grow their user base. One partnership in particular wielded a co-branded survey and infographic which brought in over 2,000 new users in a single day. A sizable quotient of Due’s user acquisition strategy is its focus on acquiring businesses of a similar scope and merging these companies’ existing customer bases and technology. John explained how the Flippa marketplace has provided a myriad of digital assets that fit this mold. The big question about Due.com is: what impact has having such an ultra premium domain name had on the business? “Having a premium domain has helped tremendously, I would say by a factor of at least 10x. When you have a premium domain name, people recognize that and it gives you instant credibility,” John explained. In addition to building trust and credibility, John says that owning and operating the premium domain name — particularly a .com — has increased his response rate by at least 50% when pitching stories to journalists and reporters. The SEO benefits are immeasurable, as well. Due continues to scale — it has amassed 78,000 users in its first nine months, and will be profitable in its next two. John and his team have even bigger plans to expand the business beyond just invoicing and time tracking, hoping to venture full-on into the payments space. The Flippa Team wishes the crew much success, and will be following up in due time…get it?…to see how they’re tracking. Drop a comment or question for John below, or follow him on JohnRampton.com and the Due.com blog. Also keep tabs via Twitter, Facebook and LinkedIn.